After screening her amazing film Magic Mirror in 2013, we are delighted to invite British artist Sarah Pucill to present her latest film for The Dream That Kicks. 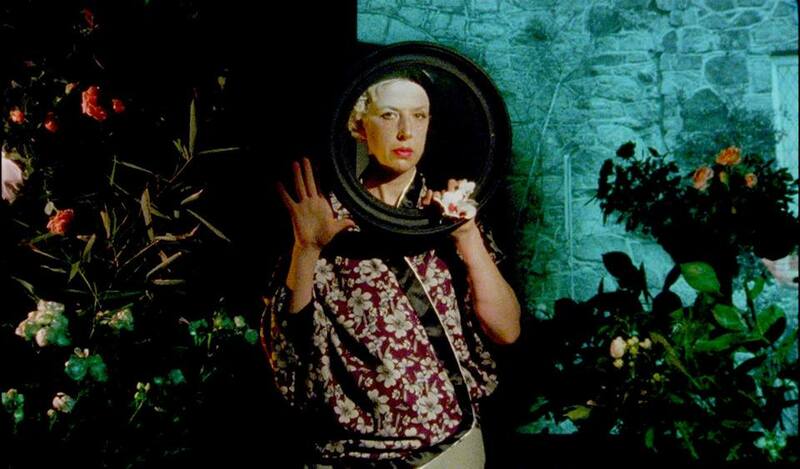 Amidst a visual extravaganza of costumes and hand-made sets, Sarah Pucill's new film Confessions to the Mirror takes its title, from the French Surrealist artist, Claude Cahun’s incomplete memoir. Following Cahun’s text, the film includes Cahun’s early and later life and work including her political propaganda activity and imprisonment in Jersey with her partner Suzanne Malherbe during the Nazi occupation of the island. The tracing of a life is made conscious through the projection of images of the couples home in Jersey into a domestic London setting. As a sequel to Pucill's previous film, Magic Mirror, Confessions To The Mirror continues Pucill's experiment to bring cinematic life to the photographic and written archive of Claude Cahun. In her new film Pucill animates re-stagings of Cahun’s black and white self-portrait and still-life photographs with voices from Cahun's text Confidences au miroir, collaging and transposing Cahun's black and white stills and words, into colour and soundscape. The Dream That Kicks connects historical and contemporary artists’ work in thematic programmes. The parameters are wide and definitions are innumerable and mutable. Films should speak for themselves, without compromise and without apology. Presenting the fantastic; the problematic: the beautiful; the dangerous; the brilliant and the ugly – all in one programme, if possible.